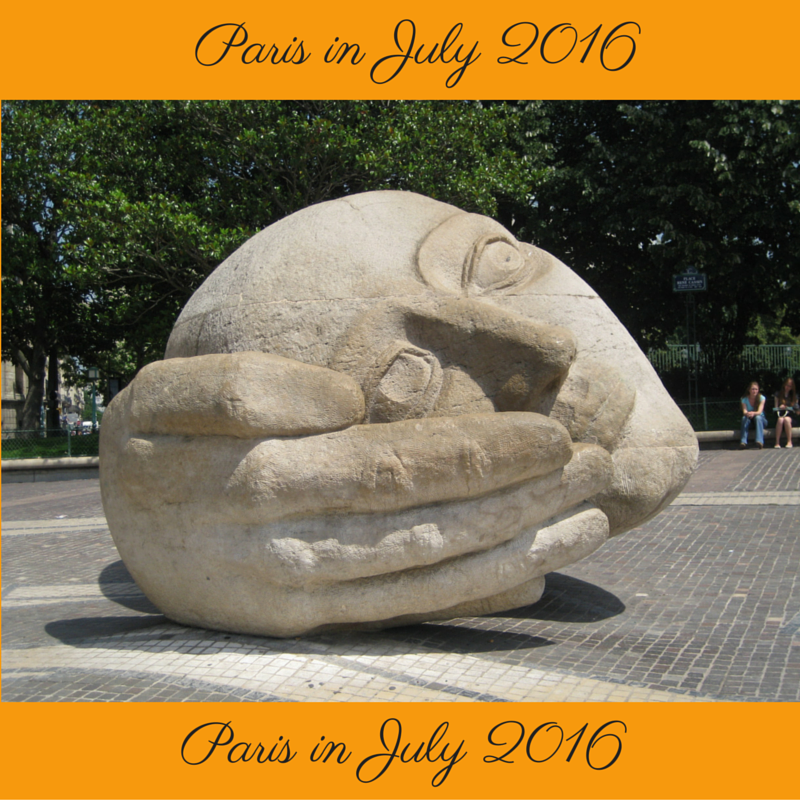 Again, Thanks to Deb for the two Paris in July 2016 Buttons. I've chosen to display this one this week, because as the face is partly covered and partly uncovered, so is Paris in July - the blogging event. I've attempted to get around and visit most of the blogs this week, and I've been inspired and challenged by the range of reading options, and the intentions of participants. I quite enjoyed the little music clip posted by Ally at SnowFeathers. I have myself started two of my books, and I'm looking forward to my trip (tomorrow) when I will have time to sit back and read. While I'm away, living and relaxing in my nearest Paris.... I'm not certain I'll have reliable or free wi-fi. So I'll catch up when I can. Not much read so far, due to lack of time. I am still travelling but is on my way back. Next week I hope to be able to start my French books. In the meantime I enjoy your Paris experiences. Hello, I've found you via Paulita. Looking forward to reading lots of lovely posts about Paris. I have linked to one last year from when we visited Paris for the first time in five years to watch the Tour de France final. Loved the little classic I read, The Ripening Seed, written in 1923. Love this challenge that you host every year! Thanks, Tamara!